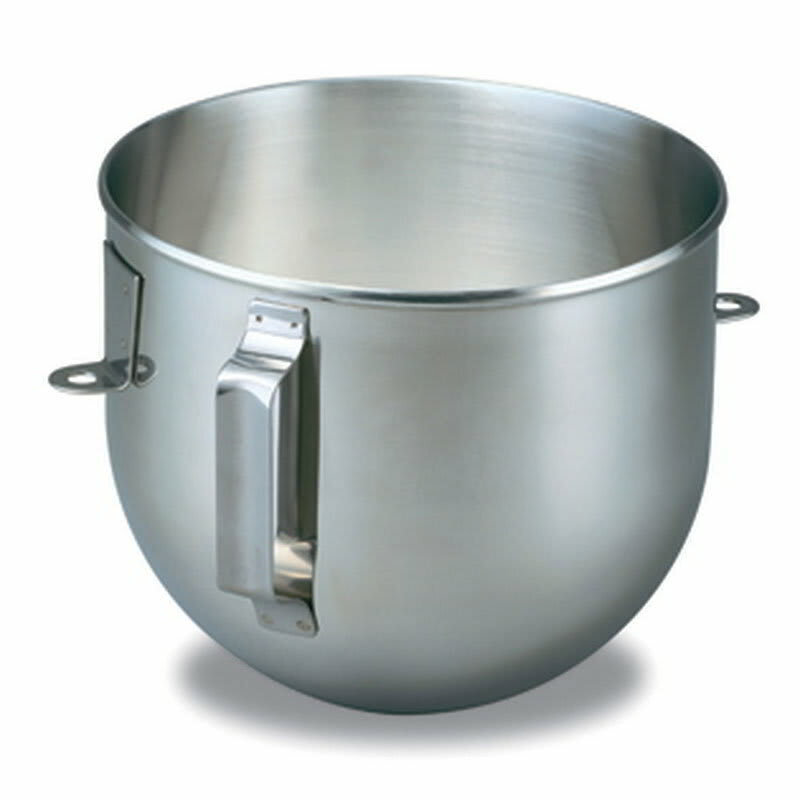 Polished Stainless Steel Bowl With Handle for KitchenAid Bowl-Lift Stand mixers. Offers enough capacity to mix dough for 9 dozen cookies, 4 loaves of bread or 7 pounds of mashed potatoes in a single batch. The bowl is also dishwasher-safe for quick and easy cleanup. Fits models K4, K5, KP50, KSM5, KSM50, KSM500PS and KSM450. Warranty not valid when used in commercial environment such as a bar or restaurant.